Compress video and audio file size with super fast speed and high-quality output on Windows/Mac. Reduce file size by changing bit rate, video resolution, format, encoder, and other parameters. Transfer converted and compressed video/audio files from computer to mobile devices easily. In the era of World Wide Web, compression is definitely the buzz word. In simple terms or for users who had no math majors, compression can be defined as a process of packing a file(s) to its smaller version which is easy to store, secure and send. If you love downloading videos, images and other content from the internet then you must have definitely come across compressed files in form of zip, rar, and other formats. Just like media, files, and folders having important and useful data can be compressed as well. There are multiple situations then you need to compress file size. Mostly all types of files including images, videos, text, audio, PDF, and others can be compressed. But here it needs to be considered that certain files can be compressed in a better manner as compared to the others. There are many types of file that do not work very well with the compression process and thus cannot be reduced to a much smaller size than its original version. Looking for best solutions on how to compress files size? Read below to clear all your queries. The type and content of file decide the extent to which these files can be compressed. For example, text files, database, and BMP images can be compressed up to 90%, program files and its types can be compressed up to 50% whereas multimedia files do not compress much. Majority of the video and audio files available over the net are already in compressed state and reducing them further using above-listed programs will not give any satisfactory result. So if you still need to compress large media files, the help of professional software like Wondershare UniConverter (originally Wondershare Video Converter Ultimate) is needed. 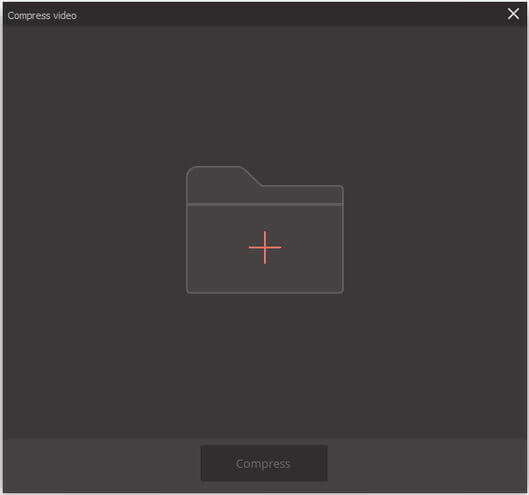 Compress file size by changing video resolution, file formats, file size, quality, encoder, etc. Reduce file size by converting to a smaller video/audio format such as MP4/MOV/MKV/FLV/AVI/MP3/WAV/M4A. 30X faster compression speed than other common converters. Edit, enhance & personalize your video files with real-time preview. Burn videos to DVD/Blu-ray disc and burn audio files to CD easily. Download or record videos from 10,000+ video sharing sites such as YouTube. 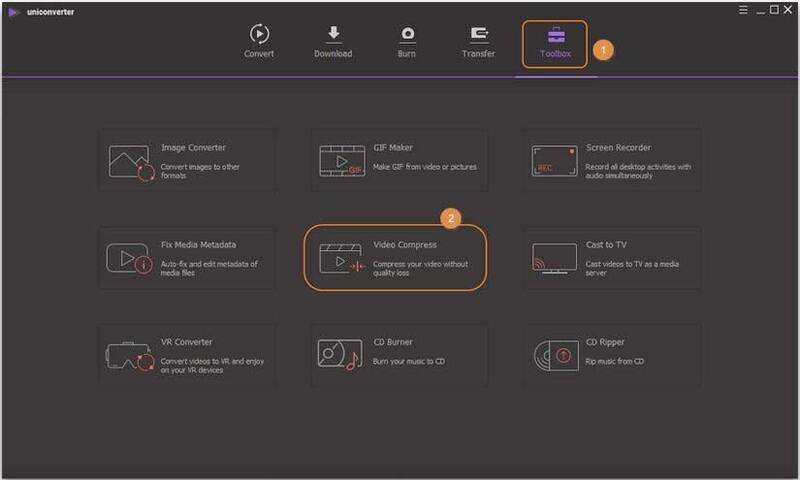 Versatile toolbox combines fix video metadata, GIF maker, cast video to TV and screen recorder. This feature packed software works with both Windows and Mac system and allows compressing video and audio files without any quality loss. 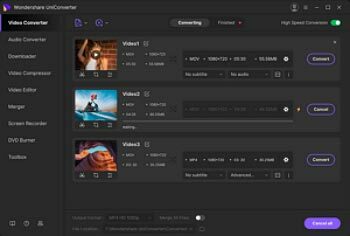 Wondershare UniConverter is a complete video toolbox, allowing you to convert, download, burn, and edit videos. The software reduces the resolution and bit rate of multimedia files which results in size reduction. Looking for the best way on how to reduce file size? Wondershare is there for all your needs. Download, install and open Wondershare UniConverter (originally Wondershare Video Converter Ultimate) software on your PC/Mac. On primary software interface, select Toolbox as the main tab. 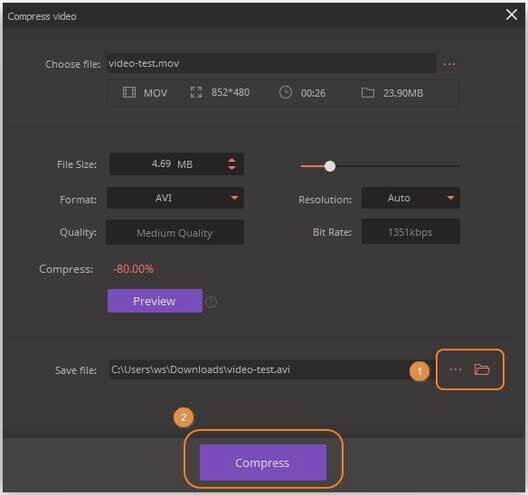 Next, select the Video Compress option to go to the compression section. A new window will pop-up, click on the + sign on the interface to select a video file from your local files. Once the video is added, you can find the information on the top panel. Then customize video resolution, bit rate, file size as you like to shrink the video file size by moving the progress bar. You're allowed to preview the compressed video for 20 seconds by pressing on the Preview button. If you are satisfied with all settings, choose the output file location for your video by clicking on the Save file option. Finally, clicking on the Compress button to reduce video file size. For audio files compression, you can go to the How to Compress Audio Files >> section to learn more details. You can also follow this method for batch video compression. 7-Zip is a popular open source software that is free to use and need no registration process. The program features impressive compression rate, can handle large sized files (up to 16billion Gigabytes as claimed by developers) and has its own compressed format called 7z. Solid compression is used by the program to considerably reduce the file size and it supports a number of formats for packing and unpacking. Step 1. Open 7-Zip application on your PC. Step 2. Search for the file that you wish to compress and click Add key. Step 3. A new window of “Add to Archive” will open. Set zip as the archive format and click OK. The files will successfully reduce in size and will automatically save the location of the original file. This is another popular compression software that supports multiple extraction formats. RAR is the proprietary format of the company is best rated in terms of accuracy and speed. Though there are much software that can extract RAR archives, when it comes to creation, WinRAR is the only option. The program features full RAR support, self-extracting creation of archive and themes and good encryption speed. The software comes with a free trial version and a paid complete version. Step 1. Install WinRAR on your PC. Step 2. Select the files to compress, right click and “Add to archive”. Step 3. Choose the desired format and click OK. The file(s) will successfully minimize in size. PeaZip is used by a large number of people, owing to its user-friendly features and attractive interface. The program makes use of simple and friendly language which makes the entire task quick and smooth. The program allows converting compressed archives to other formats and is also capable of repairing the files which are damaged. The toolkit of the program ensures security and keeps your entire data safe through encryption and optional identity check. Step 1. Install and open PeaZip on your system. Step 2. Right click the file or folder that you want to compress and select PeaZip > Add to Archive. Step 3. 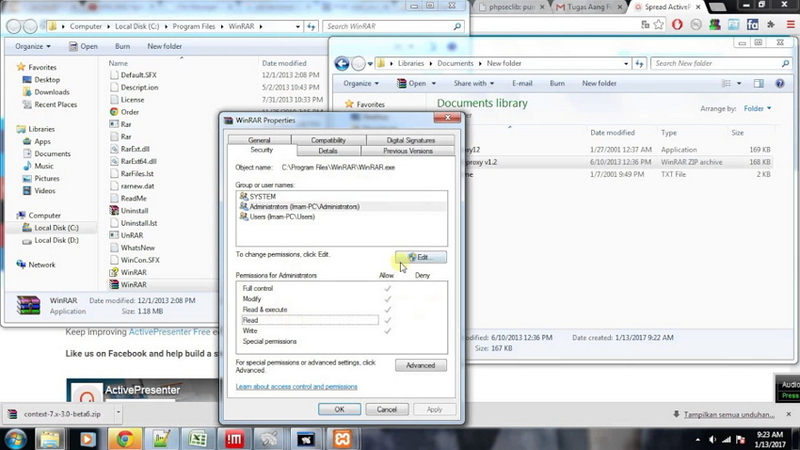 Select the desired format for the archive and click OK to start the process. The file and folders will get optimized. How to compress a file? No more worries as above listed programs are there for you. Image files are generally large in size as they have a lot of detail. If you have a number of images which need to be sent or shared through emails, social network, and other means, a lot of time is needed. Moreover, storing these images on your system means occupying a major portion of your storage space. In above-listed situations, the best solution is to compress the image files. There are a number of programs and software that helps you with the image compression task and Caesium Image Compressor is one of them. This open source program is free to use and allows adding individual files as well as folders for multi files processing. Using Caesium, you can select the desired image format, its quality, size, and aspect ratio. The interface of the software is simple yet effective. It also supports option for metadata storing and folder structure support. Caesium Image processor retains the original format without any loss in visual quality. The program is available in 2 options- Windows installer setup and the portable version (need no installation). Step 1. Launch and open Caesium on your PC. Step 2. Add the desired images to the program interface. You can also drag and drop the images. Step 3. Select the image quality that you wish to keep and finally click “Compress” button. The added images will successfully reduce in size and you can compare the size using Preview function. If you have PDF files with multiple images and a lot of content, the size of the file can increase considerably. These large files are then difficult to share, store as well as transfer. Compressing these PDF files makes it easy to transfer them across messages, webpages, mails, and other sources. There is a variety of PDF compression tools including freeware, online, and desktop software. One such decent tool that is free to use is Free PDF Compressor. The application is simple to use and support five compression settings. While using the program, you simply need to add the file, select the desired output format and finally select the type of files needed. Step 1. Launch and open Free PDF Compressor on your PC. Step 2. Under PDF file tab, browse and add the PDF file that you wish to compress. Step 3. Select Output file type and name and format. Step 4. Under Settings tab, select the most appropriate from given 5 options. Finally, click “Compress” to start the compression process. As we have stated above, file compression in the simplest terms in the process of reducing a file size. The main compressed file can be termed as an archive which has a number of files with reduced size. The compression process results in smaller file size by replacing the character sets with small sized placeholder characters. File compression is mainly of two types- lossless and lossy. The lossless compression is the process where there is no loss of any information whereas, in lossy compression, not so important parts of the file are chopped. There are many wonderful uses of compressing files. Read below to know more. Compressing files to smaller size makes then easy to transfer through mails and share online and through social media. There are many email clients where there is a restriction on the file size which can be transferred. Moreover, large files not only affect your bandwidth but are also difficult to manage. In all above situations compressing files proves to be the best solution. In case if you have confidential and important files you need to ensure their safety before transferring or sharing. 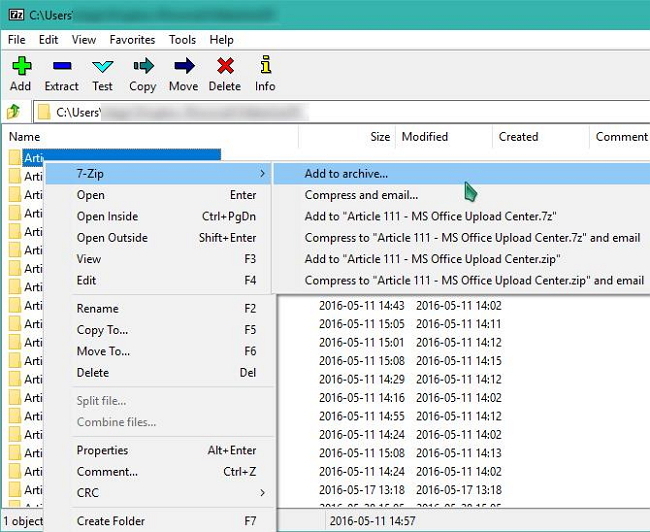 File security is taken care while using compression software like WinZip as it encrypts a file before they are sent to mail or cloud storage. The multi part compression further adds to the security of the files. Compressing files helps in archiving old files which are not in use. A large number of files on your system can run out your valuable disk and storage space. If you analyze, there is a long list of files like your favorite movie collection which is currently not in use but grabbing up a lot of your hard disk space. You can simply compress and archive these files to release some burden from the disk. It may sound absurd, but compressing files can also help you save money. A lot of files means a need for large storage space which would lead to buying a hard disk with more capacity. Buying hard disk is a pricey affair and thus if you compress files you can save storage and prevent from buying a larger sized hard disk. 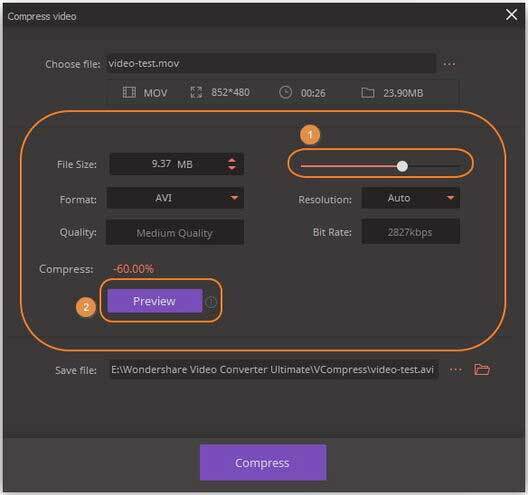 If you're looking for some methods to compress file size online, then you can read about the Top 9 File Compressors Online and Free >> to know how to compress files to smaller size online.